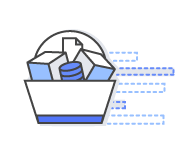 Amazon SES includes several features that you can use to enhance and protect your sender reputation. By maintaining a positive reputation, you can ensure that the messages you send arrive in your customers' inboxes. The Amazon SES console also includes a reputation dashboard, which you can use to monitor your sender reputation. This dashboard shows your account's overall bounce and complaint rates—important metrics that have a significant impact on your account's reputation. The dashboard will also inform you of other reputation-impacting issues, such as spamtrap hits, or references to blacklisted domains in your emails. You can configure Amazon CloudWatch to send notifications when the metrics in this dashboard reach certain thresholds, allowing you to take immediate action on issues that could harm your sender reputation. By default, when you send email using Amazon SES, your messages are sent from IP addresses that are shared with other Amazon SES users. Messages are distributed across these shared IP addresses to ensure that ISPs receive consistent, predictable volumes of email. Amazon SES also analyses the content of emails sent from its shared IP addresses to ensure that senders are not sending unsolicited or malicious content. These automated processes ensure that messages sent using Amazon SES have very high inbox placement rates. Amazon SES customers who send very large amounts of email can also lease dedicated IP addresses. When you lease dedicated IP addresses, you have complete control over their reputations, because the only email sent from those addresses is the email you send from your Amazon SES account. Dedicated IP addresses are available for an extra monthly charge; for more information, see the Pricing page. Customers who lease several dedicated IP addresses can organize these addresses into groups, called dedicated IP pools. You can create pools dedicated to sending different types of communications, giving you a greater amount of control over the reputations of your dedicated IP addresses. For example, you can create one pool for sending transactional emails, such as password reset or order confirmation emails, another pool for sending marketing messages to existing customers, and a third pool for marketing messages to potential customers. Each of these types of messages carries its own risk of being reported as unwanted; by creating dedicated IP pools, you can ensure that the reputations of the IP addresses that send your most important messages are isolated from those used to send less vital messages. 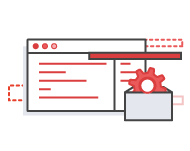 It's easy to get started with Amazon SES. Follow the Getting Started Guide and start sending email in minutes. Amazon Web Services users who call Amazon SES from an application hosted in an Amazon EC2 instance can send up to 62,000 emails per month at no additional charge. To learn more, see Pricing.